The Society of Marketing Professional Services (SMPS) Colorado Chapter snagged a first place 2017 Chapter Program Special Event award for its event, “Refine/Redefine” at the National BuildBusiness conference in August. Designed to encourage networking, educate on the value of building one’s professional brand, and entertain with a fall-preview fashion show as modeled by SMPS Colorado members, “Refine/Redefine” welcomed nearly 60 current and prospective members last August at Macy’s in Cherry Creek. Programs Committee members worked for four months to manage a thousand moving pieces: branding and promoting the event; enlisting presenters and models; scripting the show; securing sponsors; and staying on budget. 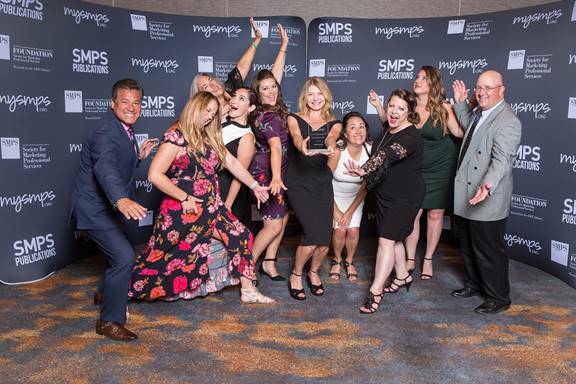 “We’re a vibrant group of volunteers who are truly committed to the mission of this organization so it’s particularly rewarding to have our Chapter nationally recognized by this award,” said Angela Innes, SMPS Colorado Programs Chair. The event also featured a professional clothing drive to benefit the Denver Rescue Mission and men and women re-entering the workforce. Sponsors included Martin/Martin Consulting Engineers, Just Be Consulting, W.E. O’Neil Construction Company of Colorado, Ken’s Reproductions, and Macy’s. The following SMPS members participated in the event.